Sara left her office, thrilled. She had just been told she was being promoted. Only two years since graduation, and her career was already skyrocketing. But while standing in line at the mini mart, she suddenly began to struggle for breath. She was overcome by chest pain and lightheadedness and felt very afraid. She thought she might be having a heart attack. An ambulance took her to the nearest ER. After a full battery of tests, the doctors told Sara her medical results were all clear, and she was released. But Sara was still shaken by the whole episode. She was worried it might happen again. For a while, she avoided going to the mini mart on her own. A few weeks passed, and things went back to normal. But one evening, while on her way to the movies with friends, she was overwhelmed by a feeling of impending doom, a surge of heart palpitations, dizziness, and sweating. Since then, the fear of repeated attacks started to consume her. She refused to go to the theater again and began having groceries delivered to her apartment. It became difficult for her to focus at work, so she eventually quit and found a job that allowed her to work from home. 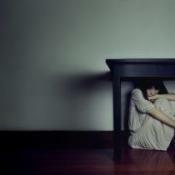 She developed agoraphobia and became depressed. Her exciting new life took an unexpected dive. I share this story because panic attacks have been coming up frequently in my practice. Around 11% of the people I’ve worked with this past year experience them. They report feeling helpless and that they have struggled with them for a long time. This comes as a surprise to me, because panic attacks and related issues can, in fact, be treated very effectively. There’s no need for them to have such a life-limiting impact. Still, people tell me of their experience going from doctor to doctor in search of treatment, only to find short periods of reprieve and no true reclaim of resilience or quality of life. First, let’s look at the difference between panic disorder and panic attacks. 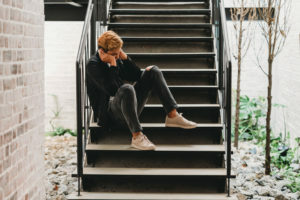 Panic disorder describes the experience of recurrent panic attacks as well an ongoing fear that an attack will happen again, especially in a place or situation where it has happened before. This worry typically leads to avoidance behaviors. This condition is very prevalent. It affects around 3.5% of the population and is possibly the most common type of anxiety (Herr, Williams, Benjamin, & McDuffie, 2014). As it turns out, panic attacks are also prevalent. One national survey found, when looking at panic attacks without panic or agoraphobia, an estimated 22.7% of the United States population had experienced a panic attack at least once (Kessler, Chiu, & Jin, 2006). Panic attacks and related issues can be treated very effectively. There’s no need for them to have such a life-limiting impact. Many of these cases pass through a hospital emergency room. The 2007 U.S. National Hospital Ambulatory Medical Care Survey found complaints of chest pain to be the leading, and second leading, reason for visits to the ER among adults (Niska, Bhuiya, & Xu, 2010). At least 50% of these cases turn out to be non-cardiac chest pain (Lessard et al., 2012). Further, as many as 32% of ER patients with symptoms of chest pain were found to have panic disorder (Belleville, Foldes-Busque, & Marchand, 2010). In Canada, PD prevalence was as high as 70% of patients with non-cardiac chest pain (Lessard et al., 2012). In spite of these findings, “several studies suggest that panic attacks and panic go unrecognized in up to 98% of cases presenting” at the ER (Merritt, 2000). This is unfortunate, since both can be cause for concern if left unrecognized and untreated. The longer they go untreated, the more havoc they can wreak on a person’s life. Studies show people with panic may see even more of a negative impact on their mental well-being than people who have diabetes, arthritis, or cancer (Comer et. al, 2011). When it comes to PA and PD, mental health literacy seems to be fairly low. Many people are confused about how to identify these conditions and how best to treat them (Furnham & Lousley, 2013). Medication may play a role in the treatment of panic, but it may not necessarily the best option. When medication is used as treatment, it should certainly be coupled with therapy. A review of 23 studies recommended either a treatment approach that combined medicine and therapy or therapy alone as a first-line treatment for panic (Furukawa, Watanabe, & Churchill, 2007). Two of the key elements identified by the American Psychological Association (APA) as important for successful treatment are psychoeducation and interoceptive exposure. Both can be provided by a qualified mental health professional. The value of therapy for PA and PD cannot be understated. Medication can help stabilize the situation. But in order for treatment to succeed, a person needs to be able to trust in their own body again. Regaining this trust requires guidance, knowledge, and understanding. Medication alone cannot help a person repair the trust they have in themselves. In my work as a somatic psychotherapist, I’ve seen two key turning points for people getting treatment for PD and PA. The first can occur when a person receives psychoeducation, as is recommended by the APA. Having a conversation about how their nervous system works can allow people to finally understand what has been happening to them. Suddenly, they find some logic in all the chaos and distress. This in itself is often hugely therapeutic. The second element that becomes a turning point is the moment when a person rediscovers a sense of safety in their own body. The intense, unexplained, overpowering sensations that occur with panic attacks often lead people to become fearful of their own bodies. The agony of distrust can continue to grow as a person becomes more and more apprehensive at the thought that something utterly out of their control might happen again. But when a person reconnects with feelings of safety at a visceral level, that apprehension and fear is often dispelled. This can take a person by surprise, since their alarm system has been on for so long. But this is the beginning of hope for recovery. From there, it becomes possible to work through symptoms of attacks with approaches such as titrated interoceptive exposure. These treatments can be highly effective. It is important to first rule out a medical condition when a person has symptoms of panic or panic attacks. If you are in the medical health profession, once you’ve eliminated a medical diagnosis such as a heart attack, be an advocate for your patient’s overall well-being. Screen for PA/ PD and offer your patient a referral to a therapist or counselor. Although PA and PD, if untreated, can disrupt life and cause distress, they are very treatable. If you believe you, or someone you know, may be struggling with panic or panic attacks, do not hesitate to reach out for help. You may be amazed at just how possible recovery is! Belleville, G., Foldes-Busque, G., & Marchand, A. (2010). Characteristics of panic disorder patients consulting an emergency department with noncardiac chest pain. Primary Psychiatry, 17(3). Comer, J. S., Blanco, C., Hasin, D. S., Liu, S. M., Grant, B. F., Turner, J. B., & Olfson, M. (2011). Health-related quality of life across the anxiety disorders. The Journal of Clinical Psychiatry, 72(1), 43. Furnham, A., & Lousley, C. (2013). Mental health literacy and the anxiety disorders. Health, 5(03), 521. Herr, N. R., Williams, J. W., Benjamin, S., & McDuffie, J. (2014). Does this patient have generalized anxiety or panic disorder? : The Rational Clinical Examination systematic review. Journal of the American Medical Association, 312(1), 78-84. Kessler, R. C., Chiu, W. T., Jin, R., Ruscio, A. M., Shear, K., & Walters, E. E. (2006). The epidemiology of panic attacks, panic disorder, and agoraphobia in the National Comorbidity Survey Replication. Archives of general psychiatry, 63(4), 415-424. Lessard, M. J., Marchand, A., Pelland, M. È., Belleville, G., Vadeboncoeur, A., Chauny, J. M., … & Lavoie, K. L. (2012). Comparing two brief psychological interventions to usual care in panic disorder patients presenting to the emergency department with chest pain. Behavioural and Cognitive Psychotherapy, 40(2), 129-147. Merritt, T. C. (2000). Recognition and acute management of patients with panic attacks in the emergency department. Emergency Medicine Clinics, 18(2), 289-300. Niska, R., Bhuiya, F., & Xu, J. (2010). National hospital ambulatory medical care survey: 2007 emergency department summary. National Health Statistics Report, 26(26), 1-31.